Having made his name in the drum & bass raves of Eastern Europe, DJ and producer L Plus quickly came to the attention of the international scene. He cemented his reputation with a string of well-received releases on top UK labels including Urban Takeover, Formation, Viper, and RAM. Earlier this year, his efforts came to fruition when Drumsound and Bassline Smith signed him exclusively to Technique Recordings. 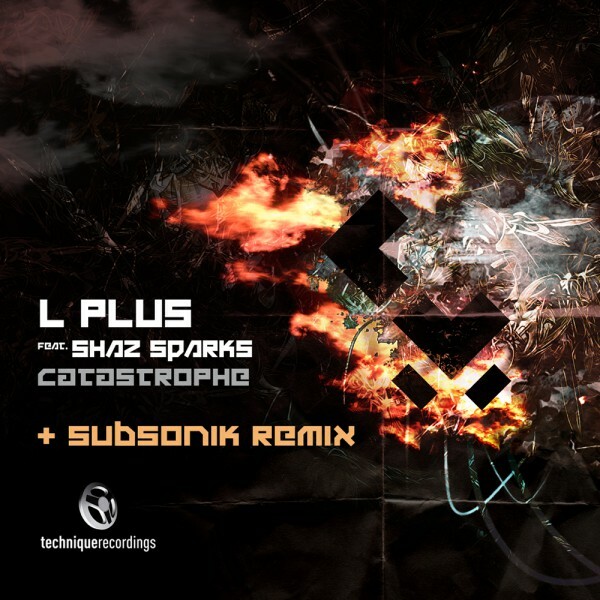 Now that the label bosses have paved the way into the mainstream spotlight with their tracks Close and Freak, L Plus is treading the same path. High-energy synth stabs combined with Shaz Sparks’ stunning vocals make Catastrophe as suitable for daytime playlists as it is for taking the roof off raves. With this release including a half-time drum and bass version and a dubstep mix, plus a full-tempo workout from remixer Subsonik, Catastrophe is set to light up dancefloors and airwaves on all sides of the genre divide. This is going to drop hard wherever bass fanatics are gathered. So, get ready to step inside the heavy bassline, soaring hook, hard-hitting beats, and twisted vocoding that make up Catastrophe from L Plus.